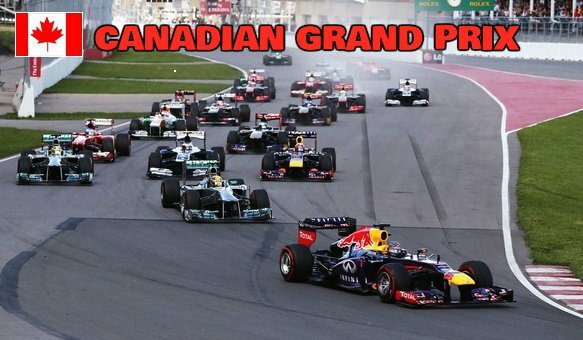 Canadian Grand Prix 2017 takes place this weekend from Friday, 09 June 2017 to Sunday, 11 June 2017 at the Montreal’s Circuit Gilles Villeneuve in Canada. This Grand Prix holds massive importance in the title race where Ferrari and Sebastian Vettel has put their authority on the title race and its up Mercedez whethere they can improve on their shaky start to the season. On this page you will find live streams of whole’s weekend formula 1 action. We will be placing live links before the start of every session. Lewis Hamilton will fancy his chances in Canada having won the grand prix last year and he need to consistantly win races from now to end of the season if here were to defend his F1 title. Canadian grand prix will take place at the Circuit Gilles Villeneuve and it is one of the most exciting grand prix of the season with bit of everything making it challenging for drivers and producing drama almost every year. Canada Grand Prix Race Results: So its Hamilton who won his fifth Grand Prix in Canada and this might go down as a turning point of the career where momentum now shifts towards Hamilton who only trails by 9 points off Rosberg. Ferrari had a decent day with Vettel producing incredible start for the surprise of many but in the end Mercedes kept its dominance as they won yet another grand prix win. Lewis Hamilton has narrowly pipped team mate Nico Rosberg for the 2016 Canada Grand Prix pole position. In the process of claiming pole position on Saturday, Hamilton also set his personal best at this circuit and he will be favourite to go on and win his second grand prix of the season on Sunday. Formula 1 Canadian Grand Prix 2016 Highlights: The race will take place in Montreal at around noon local time while in United Kingdom BBC Sports and SkyF1 will broadcast the race at 19:00 uk time. Once the race is over you can always tune in here to get the results and full race replay video which will be available couple of hours after the race is over. Lewis Hamilton has won four canadian grand prixs and he can make it five just one short of Michael Schumacher’s record of 6. Nico Rosberg will be looking to bounce back after two terrible races to stay in the lead with business end of the season heading fast. Canada has seen massive upward trend in Formula 1 viewing figures disclosed in the F1 media report 2015, around 17.9% increase in taking yearly unique viewers to around 3.3 million. Thats largely down to grand prix race start time adjustment which suits European time where the core audience of Formula 1 exists. So its all setup for a massive weekend in Formula 1 season where we can expect alot more excitement and surprises on both ends of the F1 standings. what has happend to the commentators in the stream? please provide batman stream. please highlight it \.